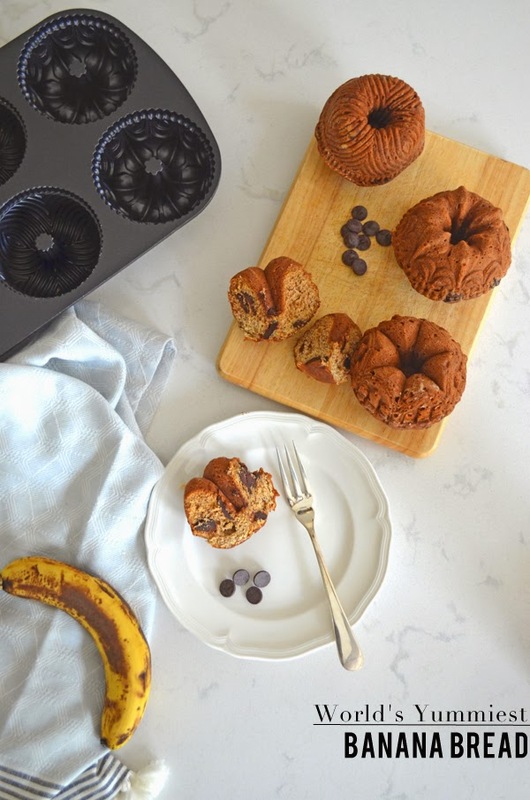 Yum and those mini bundt pans are the cutest!!! 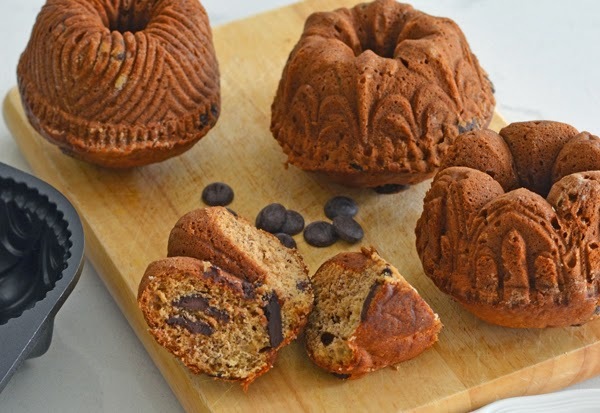 This looks fabulous, I just adore banana bread - really like zucchini bread too! I usually freeze my overripe bananas and use them in smoothies or to make banana pancakes. 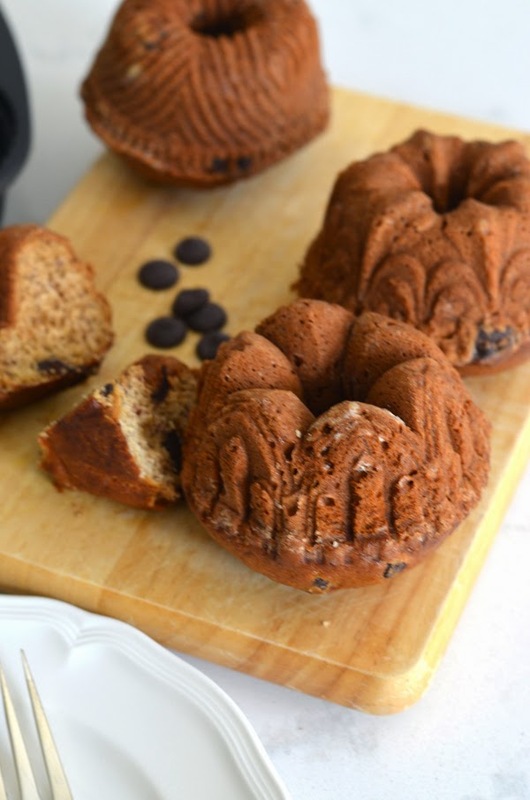 You and me both and I love the new take by putting them in a mini bundt pan! These definitely look like the yummiest! Thanks for the recipe! Genius way to use mushy bananas :) looks delish. I'm going to try this recipe over the weekend!! It looks yummy! YUUUUM! Albertina, those are delicious looking! Made them! Love them!!! Thanks for the recipe!! My kids had a blast baking with me.